Sharky is a dipole speaker to get more indirect sound. Sharky you can use on top of speakers to get more surround effects. Sharky has been developed by Bernd Timmermanns. 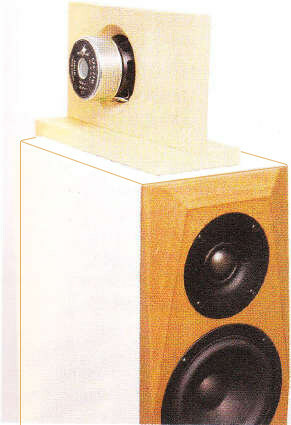 The crossover consists of a 2nd order high-pass filter (12 dB per octave slope) for the fullrange speaker. The crossover frequency can be select between 300 an 1100 Hz.